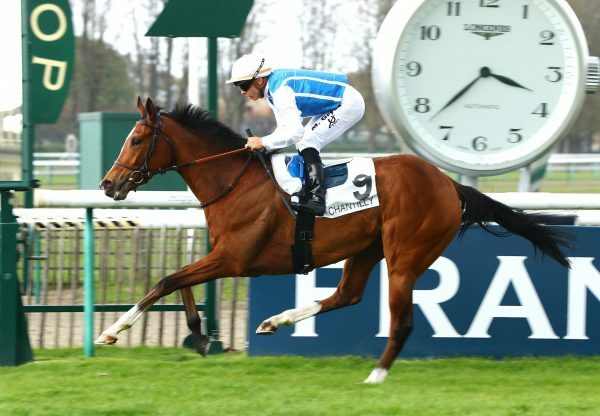 2019 Epsom Derby entry Makmour (2c Rock Of Gibraltar-Makana, by Dalakhani) made a winning debut over seven and a half furlongs on the Deauville polytrack on Wednesday. 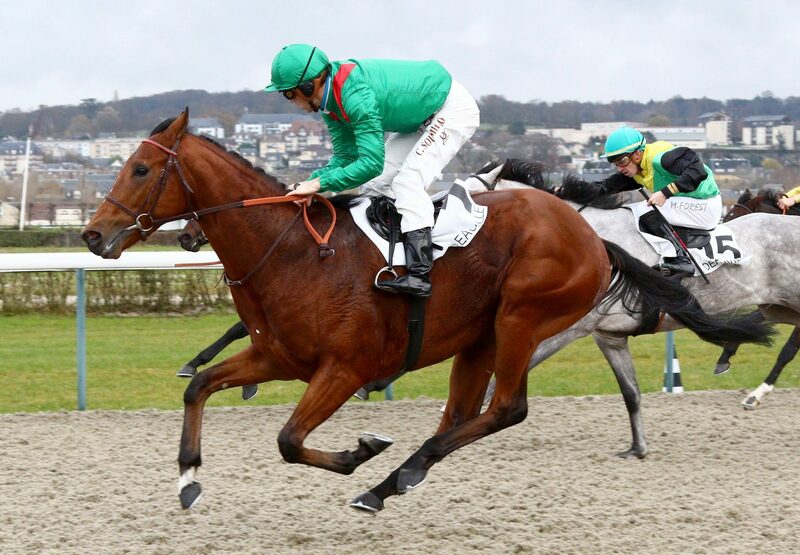 Ridden patiently by Christophe Soumillon, the Jean-Claude Rouget-trained favourite came wide on the turn for home and showed an impressive turn of foot to run home strongly, scoring by a length and three quarters. 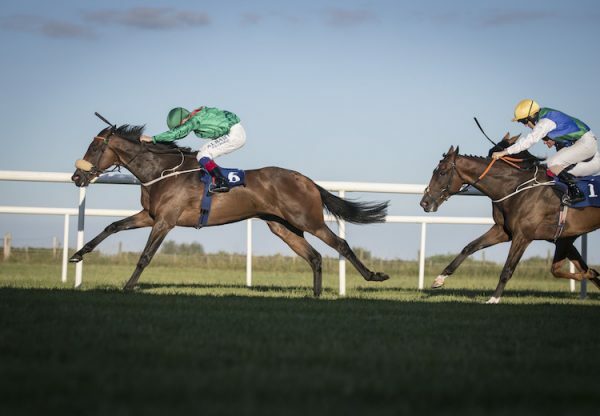 Makmour continues a fine season for Rock Of Gibraltar’s current juvenile crop, which boasts a 35% strike rate in 2018. 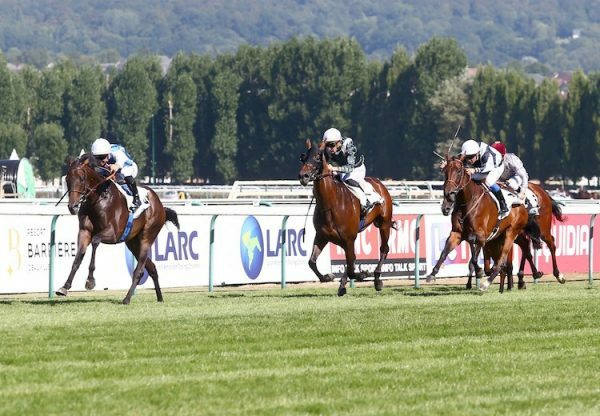 Stand-out performers among them include G1 Prix Marcel Boussac second Matematica, recent Group 3 winner Atom Hearth Mother and Listed scorer Birthday Party. The Aga Khan has also enjoyed much success breeding to Rock Of Gibraltar, producing G2 Debutante Stakes heroine Raydara and recent Listed winner Kalaxana. 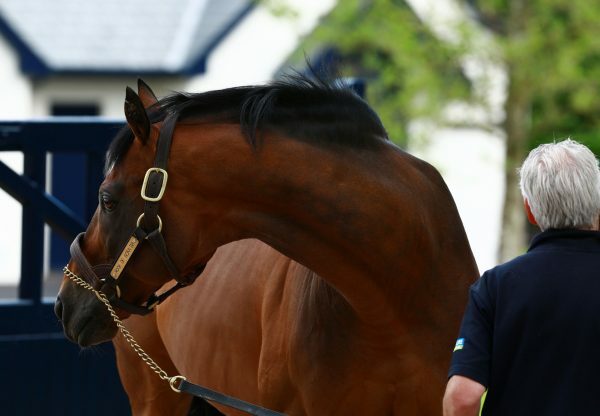 Rock of Gibraltar has sired 16 individual Group 1 winners and will stand for a fee of €7,500 in 2019.